Copernicus Programme Provides Valuable Economic Benefits Copernicus is Europe’s most ambitious Earth observation programme and provides full free and open access to data for the development of applications in a wide variety of domains. It is estimated that investments in the programme will increase to EUR 7.5 billion by 2020, while the economic benefit is expected to double in value. Every euro invested in Copernicus activities by public authorities, results in a EUR 1.4 benefit to the whole economy. The Copernicus Masters awards applications and ideas that are using Copernicus data to tackle important challenges faced by business and society, with 2018 submissions opening 1 April. 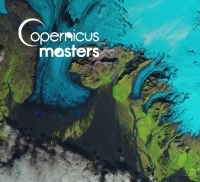 Launched in 2011 on behalf of the European Space Agency (ESA) and with the strong support of world-class partners, the Copernicus Masters is an international competition with the objective to drive Copernicus User Uptake of Earth observation (EO) data and thus respective business cases. With prize partners such as European Space Agency (ESA), the European Commission (EC), the German Aerospace Center (DLR), CGI, Planet Labs Ltd, BayWa AG, Stevenson Astrosat Ltd., Airbus, Satellite Applications Catapult Ltd., and the German Federal Ministry of Transport and Digital Infrastructure (BMVI), the competition awards prizes to innovative solutions for business and society. Over the last 7 years, more than 3,100 participants from over 70 countries have taken part, with over 100 winners awarded approximately 4.3 million Euro. www.copernicus-masters.com. More information about the Copernicus Programme can be found here.